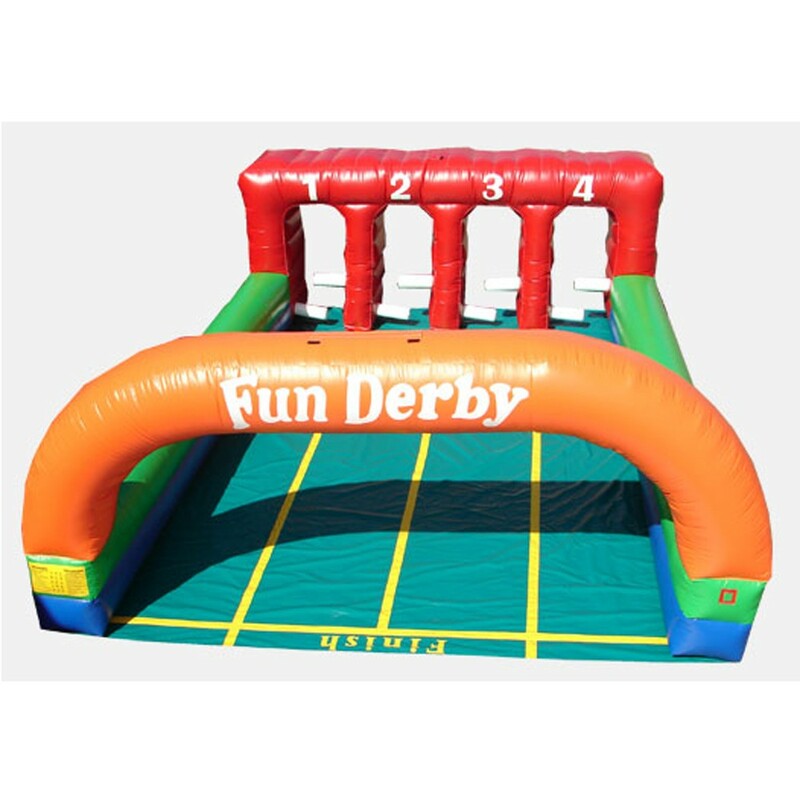 The Four Lane Inflatable Derby is a fantastic and competitive commercial grade interactive game! This unit is made with a high quality 18 oz. PVC to ensure durability. The Inflatable Derby - 4 Lanes with 4 Horses is the perfect commercial unit for your school, church, rental business, or other institution. Place your bets and get ready for the race! Riders will have a blast hopping down this inflatable Race Track, as friends and family cheer on their favorite horse to the finish line! This inflatable was manufactured with a high quality 18 ounce PVC vinyl material; made to last year round.